Not long ago, scooters were considered a passing fad. But today, they are an ever-present fixture on pavements, in playgrounds and even at skate parks. Boys of all ages have gone mad for these push-powered modes of transportation thanks to their ease of use, range of designs and perhaps most importantly, street cred. Therefore, parents struggling to find the perfect present this Christmas don’t need to worry anymore, as boys scooters are available in abundance. But how did they come to be so popular and what are some of the best models on the market? 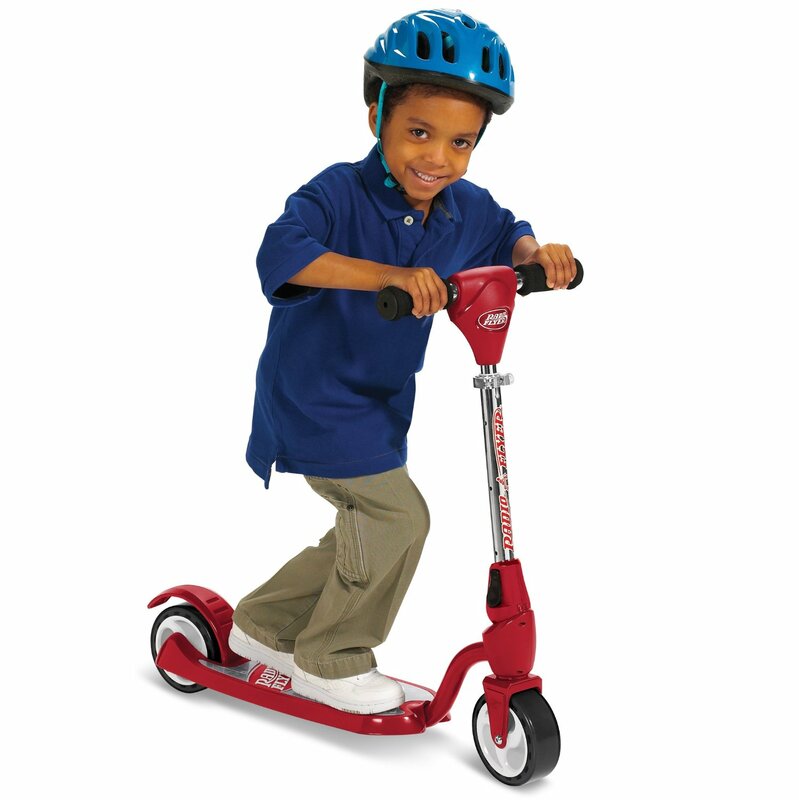 There is a good chance that any parents reading this probably had a similar toy during their childhood, as scooters date back decades. In the past, inventive fathers or imaginative kids would make them by hand using roller skate wheels and a board of wood or an old box. The handle was simply there for balance, as the rider had to lean one-way or another to make the scooter turn. However, bicycle manufacturers soon recognized the need for a mass-produced scooter and started to introduce various products. Some of these featured chunky rubber tires, different sized wheels, foldable frames and even suspension. But it wasn’t until the late 1990s that scooters hit the big time, which was mainly down to their popularity in Japan. At first, commuters used scooters in an urban environment to get to work, but children soon adopted them everywhere else. Regardless of your kid’s age or ability, they’ll be a suitable scooter out there. Younger children will appreciate a scooter featuring graphics of popular children’s TV and film characters such as SpongeBob SquarePants, Hello Kitty and Disney’s Frozen. However, scooters for older kids are built to incredibly high specifications in order to withstand outlandish tricks and stunts, just like the Ozbozz Torq Chaotic. Its aluminum construction and robust steering column means it will definitely stand the test of time. Full deck grip helps with balance while a large AI rear brake ensures the rider can stop quickly too. But for something a bit different, consider buying the Razor E300 Electric. Designed with older teenagers and even adults in mind, this electric scooter can achieve speeds of up to 15mph. Its super-sized deck and frame along with extra wide tires make it extremely comfortable to ride, while the 24V battery system affords up to 40 minutes of continuous use. So what used to be a fleeting trend is now a tremendously popular pursuit. Therefore, any boy would appreciate receiving a scooter this Christmas. Just be sure to talk to your kids about scooter safety before they step on board.